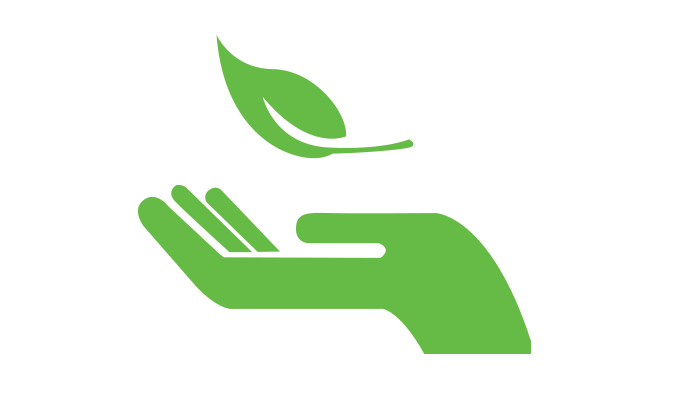 Eco-friendly and organic horticulture products made with coir fibre from Sri Lanka. 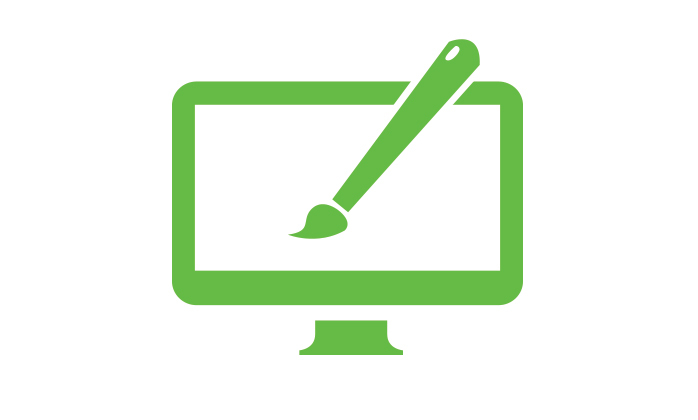 We are growing bigger and better. 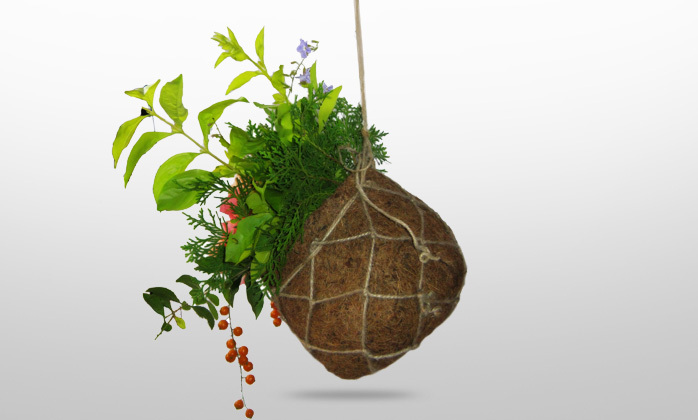 diverse range of nature friendly gardening coir products. Sri Lanka pavilion, Gardex general zone. CocoTech Exports Lanka Private Limited is a well-known manufacturer and an exporter of coir based horticultural and decorative products. We are globally celebrated for our innovative products and has been awarded with the patent rights for our cutting edge developments and quality products in coir. 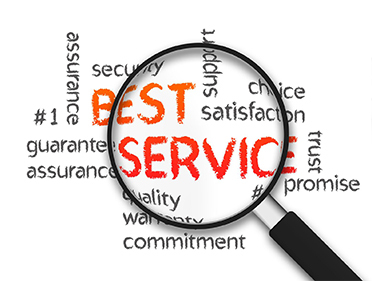 Our innovative and futuristic approach to production and incomparable product and service quality is highly recognized by leading government institutions like EDB and CDA. Made with world’s best coconut fiber from Sri Lanka, eco-friendly horticulture products from CocoTech can be customized to suit the requirements of growers around the world. 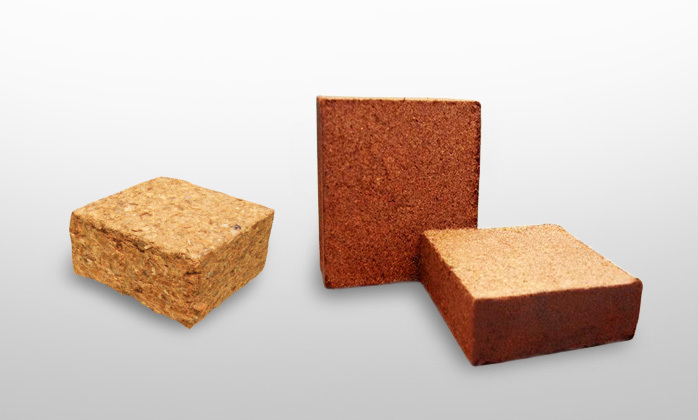 Coco chips & peat blocks, grow bags, geo textiles and pots made with superior quality natural coir are ideal eco-friendly growing medium for green houses, farms, homes and gardens. 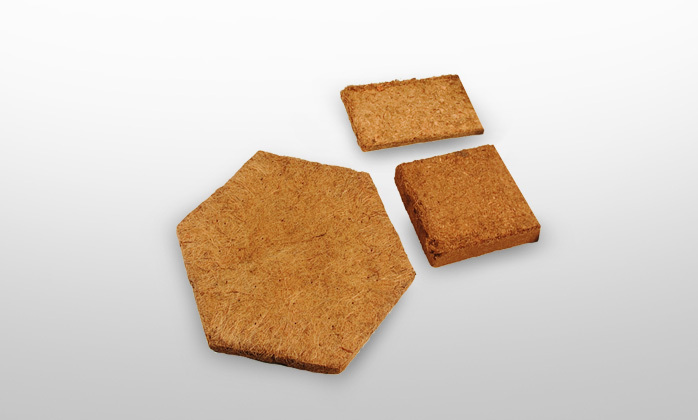 CocoTech's natural coir based horticulture products including coco weed prevention disks, grow slabs and pots can be customized to suit the planting requirements of customers worldwide. 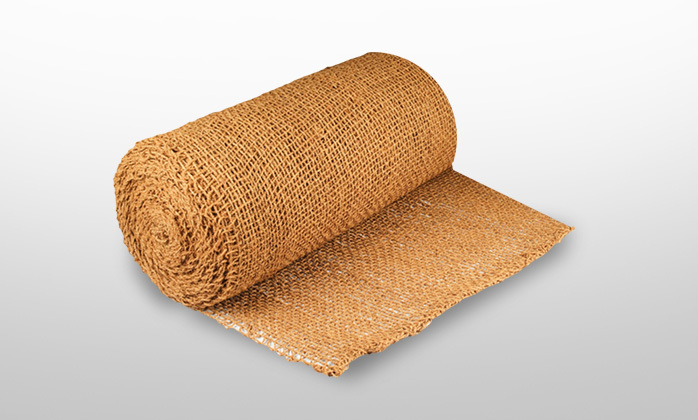 Natural coco peat, coir blankets and geo textiles are widely used in road and building construction as an eco-friendly erosion control, slope stabilisation and reinforcement material. 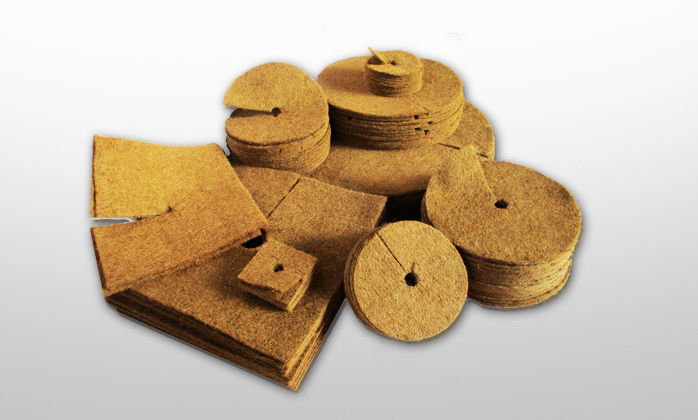 Featured Products Our principal raw material is coir fiber extracted from fully matured coconut husks and all of our products are 100% biodegradable. 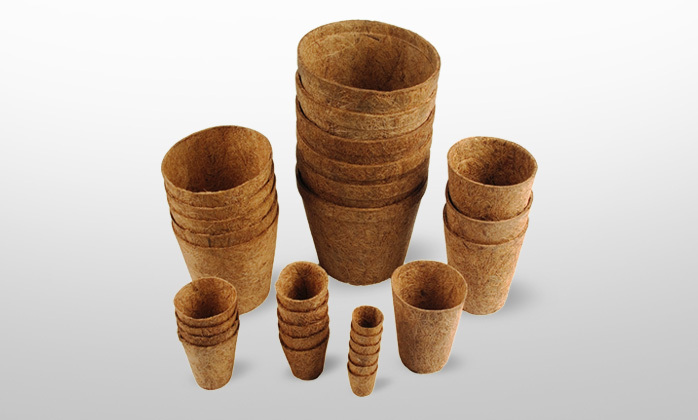 Made from natural coir to provide continuous soil cover to retain moisture and prevent soil erosion while preventing weed growth. Made from natural coconut fibre and rubber latex to provide a natural growth medium with better air circulation and water absorption. 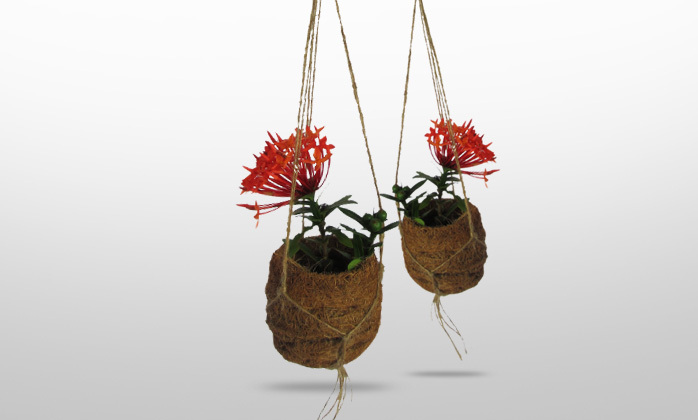 Made from all natural coir fibre, rubber latex and jute yarn to be used as a decorative plant medium with high water & fertilizer retention. 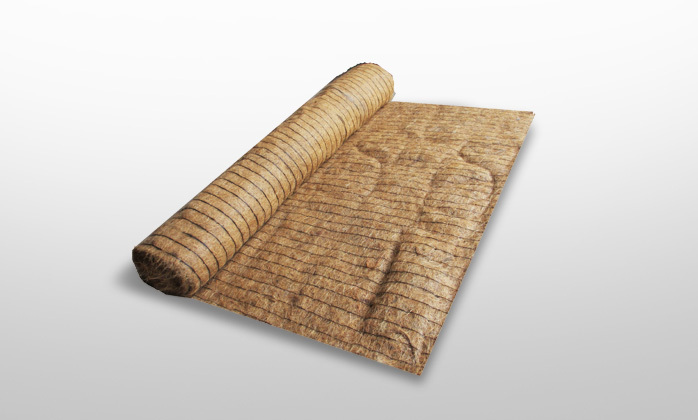 Made from natural coconut fibre and rubber latex to improve air circulation, water absorption and root growth. 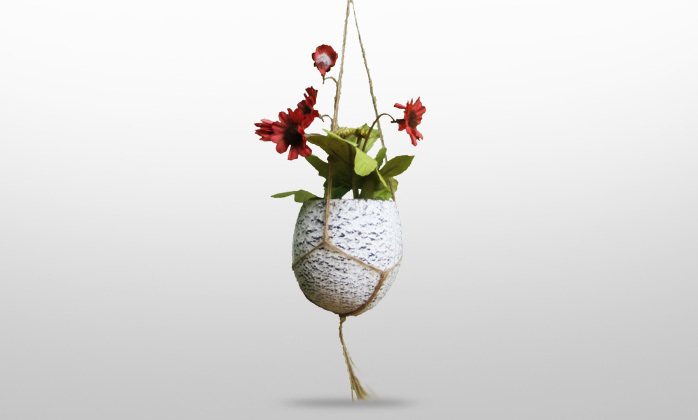 Made from all natural coir fibre, rubber latex and jute yarn. Can be used as a decorative plant medium with high water & fertilizer retention. 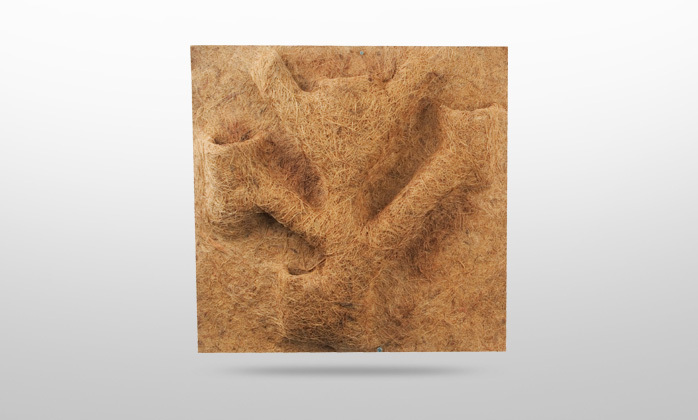 Made from natural biodegradable coco fibre to improve root development and to retain water and fertilizers. Roof gardening tiles made from crushed natural coco husks and natural rubber latex to be used in vertical and horizontal gardening. 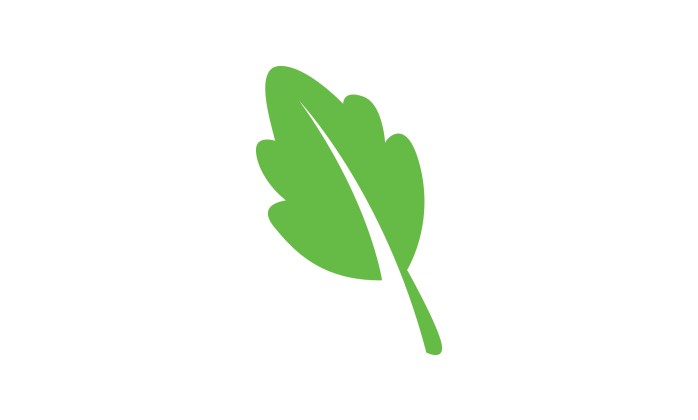 Organic and biodegradable growing material made from crushed coco husks and coco peat, used as a soil additive in pots and hydroponic systems. 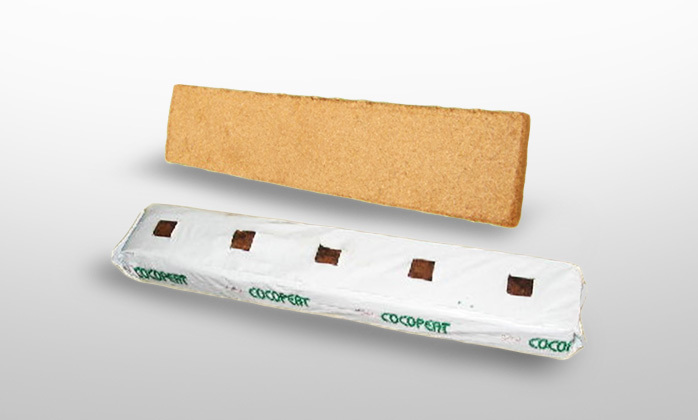 Made out of compressed coco peat and coco chips to improve water retention, air circulation and root growth. 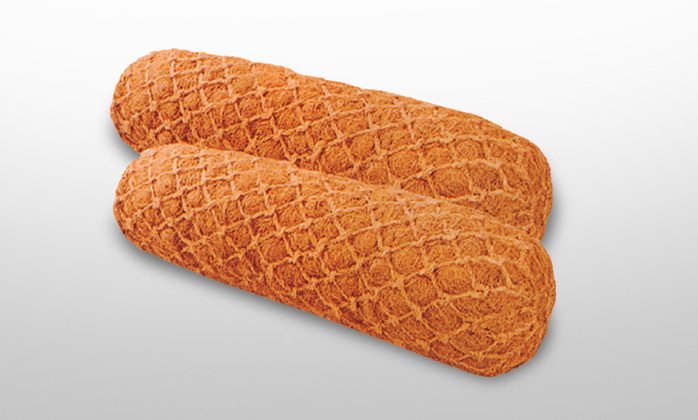 Made from natural coir yarn as a cover for shorelines and banks of rivers, ponds and mountains to prevent soil erosion. 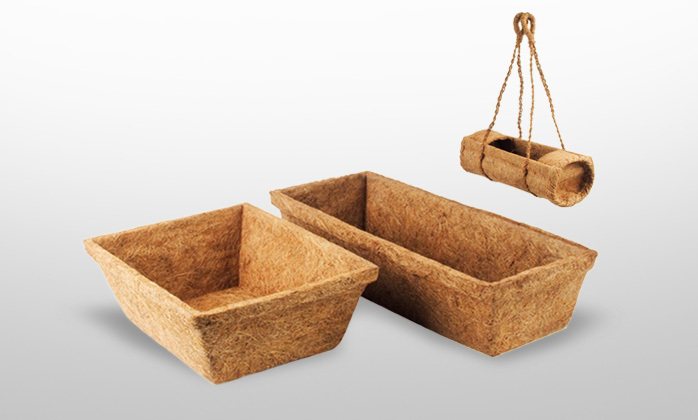 Made by enclosing natural coir fibre in a strong coir mesh, geo logs. Provides erosion and wave control in mountains, slopes and river banks. Made with natural coco fibre and natural fibre latex to create ideal background safe for animals. 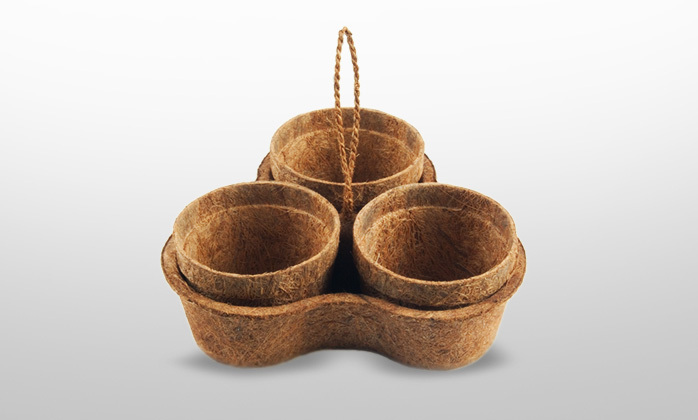 Made out of natural coconut shell and jute yarn. Available in many designs and colours. Can be used as a decorative pot or a vase. 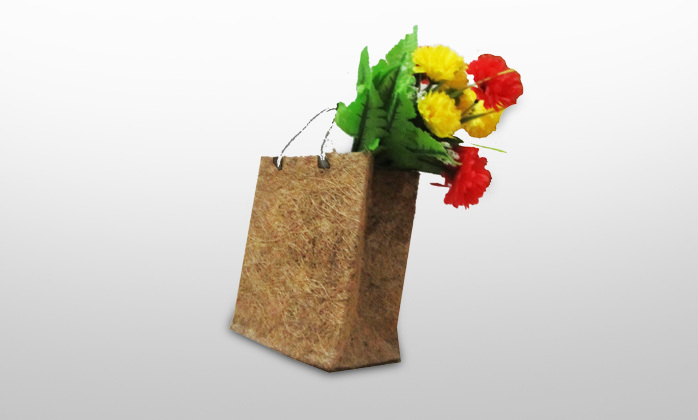 Made with high quality 400 GSM coir textiles and jute yarn, coco bags can be used in a variety of eco-friendly decorative and industrial purposes. Made from natural coir & available in 2m to 25m width, coir needle felted sheets provide protection from erosion and soil degradation. As a 100% Sri Lankan company, our commitment for the betterment of the nation is reflected through our variety of community service programs. In our attempt to give back to the community, we have developed projects to uplift the education of needy children and to raise the welfare of impoverished communities. Our company which commenced operations in 1997, owns a state of art modern production facility at Badalgama, Gampaha which is located at the heart of Sri Lanka's famed "coconut triangle", known to produce some of the best coconut in the world. 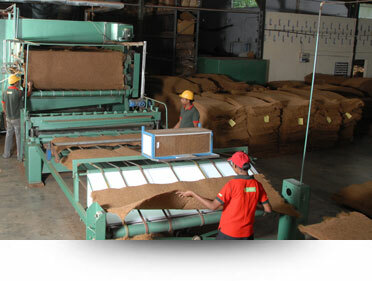 We, Cocotech Exports Lanka (Pvt) Ltd is dedicated to manufacturing wide range of coir based, quality horticultural products which meet worldwide customer requirements and lead to their satisfaction. In addition, we are committed to comply with all statutory legislation relevant to industry best practices, standards & guidelines. 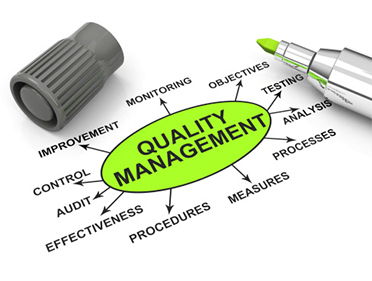 Also we, continually improve the Quality Management System based on ISO 9001:2015. CocoTech Exports Lanka (Pvt) Ltd is a manufacturer and exporter of coir based horticultural and decorative coir products, situated in Sri Lanka, a country known from ancient times as the Pearl of the Orient and factory located in the Coconut Triangle close to the raw material suppliers and skilled labor. Sri Lanka, an island in the Indian Ocean and located south of the Indian subcontinent, is also known as the Island of Serendib. Quality and price conscious consumers and marketers the world over are turning towards Sri Lanka for a range of products and services which utilize the comparative advantages of this country.